Photo-voltaic (PV) solar panels convert sunlight to electricity. Since sunlight is free, renewable and non-polluting – installing my own set of solar panels always seemed like a fantastic way to satisfy my family’s energy demands. However, PV solar panels are expensive, not generally available and require a certain level of expertise to install properly – so I hadn’t looked at them in a long time. 1) We need almost everything we use to be running on electricity. 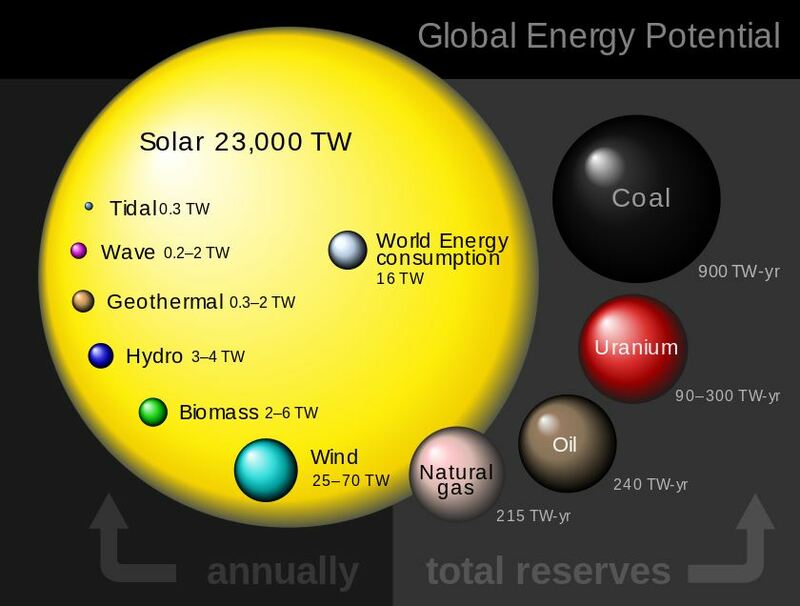 2) We need almost all of our electricity to be produced from sustainable sources. My research led me to a company founded by Islander Steve Howard called Renewable Lifestyles. This company promised to source and install PV solar panels that are guaranteed for 25 years, and should last 40 years, with almost no maintenance. But, more importantly, it can be done with a reasonable payback period for my investment – I wouldn’t have to wait 20 years after they were installed to start actually making money on the investment. This seemed almost too good to be true. So I set up a meeting with Steve Howard to try to understand how this could be. I soon found out that the PV solar panels themselves, although cheaper than in the past, were still fairly expensive – but in the absence of any straight-forward government incentives he had figured out a way to use existing programs to make it affordable. Unfortunately the strategy is a bit complex, and it took me some time to understand how it worked, so bear with me here while I try to explain it. DISCLAIMER: This article reflects my opinion only. Each person must do their own due diligence before undertaking any purchase (e.g. of PV solar panels). Also, I am in no way affiliated with Renewable Lifestyles. I do own shares in Solar Island Electric as described below, but this article is not meant to solicit further investors in this company, and I do not stand to gain financially by further investment in this company. In the April of 2016 a 19.125 kW PV solar panel system was installed on our property at 3102 St. Mary’s Road, New Glasgow. There are 48 panels on ground-based mounts, and 27 panels on the roof of our house – 75 panels in total. These are expected to generate a peak capacity of 19.125 kW per hour in full sunlight. I expect them to generate about 26,400 kWh per year which works out to an estimated 1380 hours of full sunlight in PEI – an average of 3.78 hours per day or 2200 kWh per month averaged out over the year. This will offset at least 75% of our admittedly high power needs – and hopefully more if we can reduce our consumption habits (we use a water-based heat pump geothermal system to heat our 2100 square foot home, baseboard electric heaters in our “office” out-building). This size of the installation was chosen primarily because that is the maximum size that can be supported on our 100 amp infrastructure. However we did spend $600 extra to ensure that the inverter can handle a change to 200 amp in the future. The power generated is fed into a power inverter in our house that changes it from direct current (DC) to alternating current (AC). We use as much of the power as we need based on our usage in real time (e.g. appliances, heat pump, etc.) and any surplus is sent via a production meter into the grid. In real time if there is not a surplus we draw power from the grid and this is recorded by a separate consumption meter. Maritime Electric provides and owns both the production and consumption meters. We signed a net metering agreement with Maritime Electric that officially identifies us as a “Small-Capacity Renewable Energy (SCRE) Generator”, that governs our relationship with them. At the end of each month the number of kWh (kiloWatt hours) of power produced and fed into the grid as measured by the production meter is compared to the amount consumed as measured by the consumption meter. If there is a surplus, this power credit is carried forward to the next month and the credit is indicated on our power bill – and we charge HST to Maritime Electric on the power we produced. If there is a deficit, we are charged the difference plus HST. This is all summarized on a single bill provided to us by Maritime Electric. A power credit can only be carried forward one year, and if it has not been used then it is zeroed out – i.e. no compensation given by Maritime Electric. This means that we want to produce no more power in one year than we use in one year. The quoted cost for the system plus installation was $50,281.85 + HST = $57,321.42. Gulp. Yes – that’s a lot of money. You can see the full quote here. If we were to take out a loan for this – say at 3.5% – and use the savings of $320 per month to pay off the loan it would take about 18 years to pay it off. Not such a great deal. So Renewable Lifestyles owner Steve Howard took this problem, did some research, and formulated a strategy to get this cost down. He created a company called “Solar Island Electric” that qualifies for the PEI government “Community Economic Development Business” (CEDB) program. So, investors can purchase shares of Solar Island Electric inside their RRSP and qualify for the PEI Equity Tax Credit. In return the investor gets a PV solar panel system installed that they lease for 5 years for a relatively small yearly fee (in my case $1,200 per year) – and also don’t need to pay the HST. After 5 years the investor has the option to sell their shares, and buy out the solar install for 90% of the original cost. My calculations show that if we use money already in our RRSPs and invest it in Solar Island Electric – we get 35% back through the equity tax credit and save ~$2600/year in electricity costs – even after the $1200/year lease fee. After 5 years we can sell our shares in Solar Island Electric, and buy out the solar panels at 90% of the original cost using the money we got back from the equity tax credit and the savings over the 5 years. This leaves about $14,600 more that we need for the buyout – only 30% of the original cost! If we borrow this additional amount at 4% and use the $3,800 per year in savings to pay it off, the loan can be paid back in less than 5 years. The PV solar panels went live in mid-May, and so we are only one month into things, but I’m optimistic that in 9 years or less we’ll be saving at least $3,800 per year, and we can continue to do that for another 30 years until 2046! Maritime Electric has the monopoly on power generation in PEI, they own and maintain the power lines that supply the electricity – “the grid”. If you generate your own power (e.g. via wind or solar) then Maritime Electric lets you feed it back into the grid, but they don’t pay you for it. Instead they keep track of the power you produce versus the power you use over a one year period – if you use more than you produce they bill you for it – if you use less than you produce then they carry that amount forward as a credit on your bill – this is called “net metering”. I first learned of this over a decade ago when a neighbour and I were considering putting up a wind turbine, I thought it was a bad thing because to be cost-effective we would have to put up a large wind turbine – the larger they are the more efficient they tend to be – we would be producing way more than we used and there was no way to share it with out neighbours. But when it comes to solar energy, net metering is fantastic! Net metering means that all the excess power that my PV solar panel installation creates in the summer is sent into the grid to be stored until I need it in the winter time (e.g. when my geothermal heating system really kicks in, and there is much less sun). Maritime Electric is providing a free power storage service to me! All I have to do is make sure I use just slightly more energy than I produce. The only caveat is that when that power credit I built up in the summer is used in the winter, I’m still charged the HST on the full amount of energy I used during that winter month. Brad, Sorry I couldn’t get to the open house. This article is well articulated and really explains the process. Thanks for sharing your numbers. You’re quite welcome – you can still stop by some time and I’ll show you our PV solar installation in action! Brad, do you think government/maritime would move to yearly billing on net metering? Seems crazy to pay hst on something your not really using. Kris – not sure this would make a difference. In fact they do credit back the HST on any power that is being stored as credit. You only pay HST on the electricity when it is used – so when we use this credit in the darker fall/winter we will pay HST on the credit that we are using up. You can see that in the copy of our second June bill here https://bradtrivers.com/wp-content/uploads/2016/08/June-2016.pdf . Did I misunderstand what you are suggesting? Brad, thanks for the info. I’m attempting to build a net zero this fall. A couple members have PV systems but do not get credit back for hst? I will have to get them to look into it. Hard to find solid Intel from PEI based systems. Do you have a way to view how your solar system is preforming, like pvoutput.org? If so, can you please share. I do – but it’s not open to the public. I’ll take a look at pvoutput.org and see if I can get my data up there. Also, I plan to publish a post soon about how my PV solar panels performed during the first year of operation. That would be perfect. In process of building a new ICF home which will have a 8.4kw solar system and will be running a geothermal heating system. Depending on what inverters you’re using, you can set it up like the NAIT did here: https://enlighten.enphaseenergy.com/pv/public_systems/EwPs64809/overview for their research system. Thanks for the detailed and positive article. On the cash flow, where and when is the tax credit received? Inside the RRSP or on your personal tax refund? “After 5 years we can sell our shares in Solar Island Electric, and buy out the solar panels at 90% of the original cost using the money we got back from the equity tax credit and the savings over the 5 years.” Your RRSP will be selling the shares, correct? What is the market for the shares, assuming SIE’s assets are other solar panel installations? The past history of tax credit investments in my memory has been the tax credit is the only return and the net investment is “stuck”. The tax credit is received as part of my personal tax refund (outside my RRSP). The agreement with Solar Island Electric is that upon buy-out of the solar panels they will buy back the shares. Great article Brad. Though I’m not a solar guy I think you explained how the process works and it puts good info out there so people can make there own choice. My problem with solar is that it doesn’t really reduce emissions. California being a good example. Storage is definitely the key, but with increased urbanization powering a city with solar and batteries is a calculator frying idea. Backup becomes natural gas. As stated the grid stores your electricity. It will be interesting to see what happens when solar’s penetration increases along with wind and they have to deal with surplus electricity.